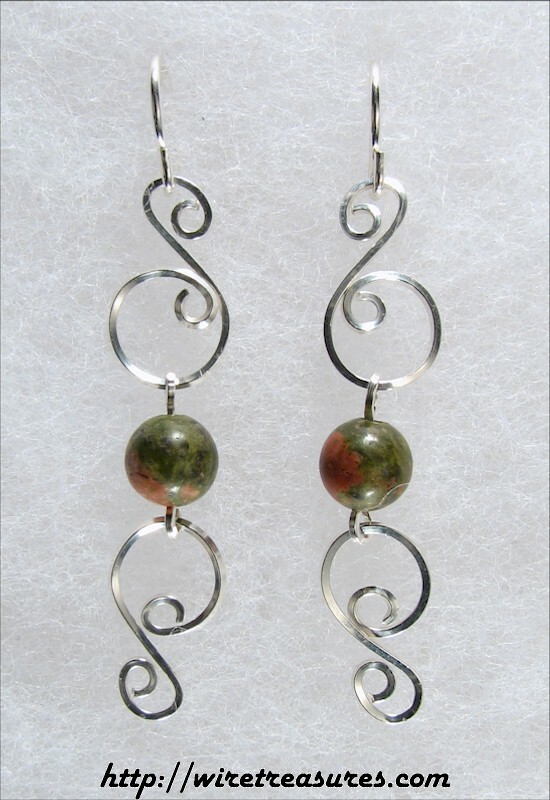 These unique earrings feature hammered Sterling Silver wire fashioned in "whirlpool" shapes with Aventurine beads at the bottom. These earrings are about 1-1/2" long, not including the French wires. You are visitor number 4,612 to this page.